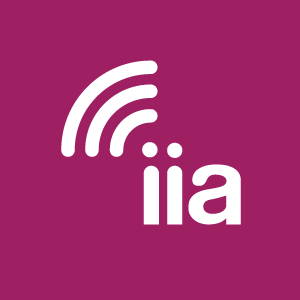 In updating the “Top 10 Ways Being Online Saves You Money” report, IIA looked at the top areas of consumer spending and the discounts that are available to internet users. Based on the 2016 Consumer Expenditure Survey released by the U.S. Department of Labor, we used online resources and applications to find discounts on essentials like housing, apparel, gasoline and food. Mobile broadband and apps have changed the way that people shop online, providing access to discounts on everything from leisure activities to groceries. Some areas of this analysis, like housing, gasoline and newspaper expenditures, required data specific to certain cities. For the purposes of this report, we chose five of the top 12 U.S. cities by population (New York, Chicago, Los Angeles, Dallas and Jacksonville) also keeping geographic diversity in mind. Overall, we found that the savings in our 2016 analysis ($12,019.63) were slightly higher those in our 2015 analysis ($9,439.96) and the year prior ($10,504.25). We looked at similar products and used similar websites for comparison, though our research revealed a new report on internet savings in the automotive category, along with new apps available for tablets and other mobile devices. The greatest source of savings in this year’s analysis was in the entertainment category. We again found that “cutting the cord” on traditional cable TV subscriptions in favor of streaming content via Netflix or a similar service could produce significant savings. As we did in last year’s methodology, we factored in the average annual cost of a mobile data plan AND home internet connection ($1,200). The below methodology provides more detail as to the calculations used for each savings category. Methodology: Sampled 50 online postings in the above markets to determine average cost savings relative to local apartment rent. Considered the average annual expenditure on housing ($18,886) minus the annual mortgage interest and charges for owned homes ($3,200) based on the Department of Labor annual study on consumer expenditures. Applied 20.83% savings factor to the remaining average expenditure for apartment living ($15,686). Methodology: Applied $3,106 savings factor from TrueCar to the average 2016 vehicle purchase cost net outlay ($33,666) based on the Kelley Blue Book value. Methodology: Applied 15% savings factor from Kaiser study to the average amount spent on health insurance ($3,160) based on the Department of Labor annual study on consumer expenditures. Methodology: Created a standard basket of monthly groceries to establish a baseline retail cost. Conducted a series of online searches against the baseline to identify cost savings exclusive to the internet. Potential savings based on cost reductions at the aggregate basket level. Applied 15.02% savings factor to the average annual expenditure on food at home ($4,049) based on the Department of Labor annual study on consumer expenditures. Methodology: Created a standard basket of the best-selling non-prescription drugs to establish a baseline retail cost. Conducted a series of online searches against the baseline to identify cost savings exclusive to the internet. Potential savings based on cost reductions at the aggregate basket level. Applied 16.31% savings factor to the average annual expenditure on non-prescription drugs, $338 annually according to a study by the Consumer Healthcare Products Association. Methodology: Researched average gas prices for each of the above cities, and found the lowest advertised prices in each, for a savings of 11.49% off of average gasoline expenditure ($1,909) based on the Department of Labor annual study on consumer expenditures. Methodology: Applied savings factor of 65.87% on dining outside of the home ($3,154) and entertainment such as concerts, events and leisure activities to the entertainment budget ($2,913) based on the Department of Labor annual study on consumer expenditures. Also added cost savings of “cutting the cord” on cable TV. To calculate savings, we looked at the average monthly cost of a cable subscription in the U.S. ($99, according to Fortune.com) and assumed the use of a streaming service like Netflix ($7.99 monthly). Applied savings factor of 92.25% to the total average spent on cable as a percentage of total entertainment spending. Methodology: Created a set of standard baskets of apparel for a man (khakis/jeans and shirts) and a woman (skirts/jeans and tops) to establish a baseline retail cost in each of five price categories. Conducted a series of online searches against the baseline to identify cost savings exclusive to the Internet. Applied 73.53% savings factor to the average annual expenditure on apparel ($1,803) based on the Department of Labor annual study on consumer expenditures. Methodology: Calculated the standard annual rate for a daily delivery (including Sunday) subscription for three top papers in each of the above cities. Potential savings factor based on average annual daily subscription rates vs. online subscription rates and access to the newspaper’s app (where available). Methodology: Created a standard multiple of monthly bills that are traditionally paid via postage (rent/mortgage, gas, electric, water, cable/phone/internet, mobile, credit card). Applied average cost per U.S. postage stamp ($0.47) for each monthly bill.